Euro Size 40 N. US Women Size 9 to 9.5. Narrow Fit Arizona Sandals designed for Narrow to Regular Feet (not for Wide Feet). 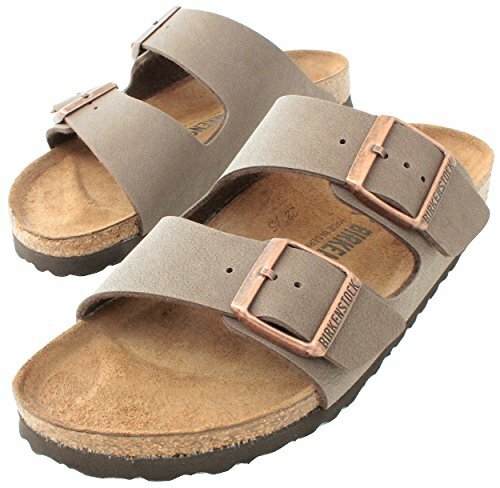 Original Birkenstock cork footbed features pronounced arch support, deep heel cup and a roomy toe box Leather lining and footbed. Birko-Flor (Not Real Leather) is a synthetic, highly durable, affordable, and easy-to-clean materials that are also extremely soft next to the skin.